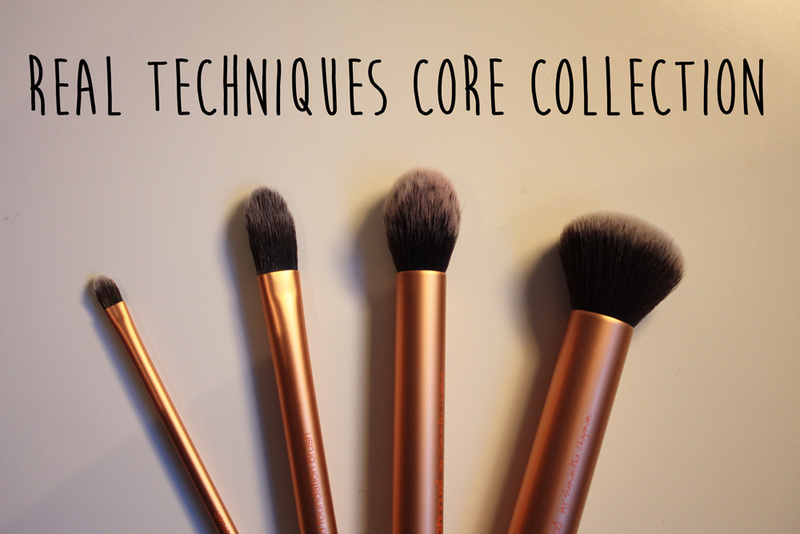 Today I thought I'd do a review of the Real Techniques Core Collection brush set for you guys. I received these as a Christmas present from my parents along with the starter set; they are designed by make up artists Sam and Nic Chapman although you may know them as pixiwoo through their youtube videos. You get four face brushes in the set that all fit neatly within their case. The set helps to create a flawless, high definition finish that will look great in any light even including harsh indoor lighting. The core collection covers all bases (literally) from powders, creams liquids to mineral makeup, highlighter, and shimmer. After using this brush set for just over a month, I am in love! Seriously! Not only are they reasonably priced in comparison to brands such as Mac, but the quality is amazing! The bristles are super soft and pick up/blend products so effortlessly, plus they are made from a synthetic fibre called taklon meaning they are 100% cruelty free! PLUS PLUS! The brush handles are light weight aluminium, they feel very nice to hold and feel like good quality. Brushes are colour coded depending on their designed use; gold yellow for base, purple for eyes and pink for setting. Although don’t let this restrict you, they are so versatile that they can often be used for other thing than what their name suggests. Take the buffing brush for example, on the box it says it’s ideal for powder or mineral foundation but I love love love using this for liquid foundation. 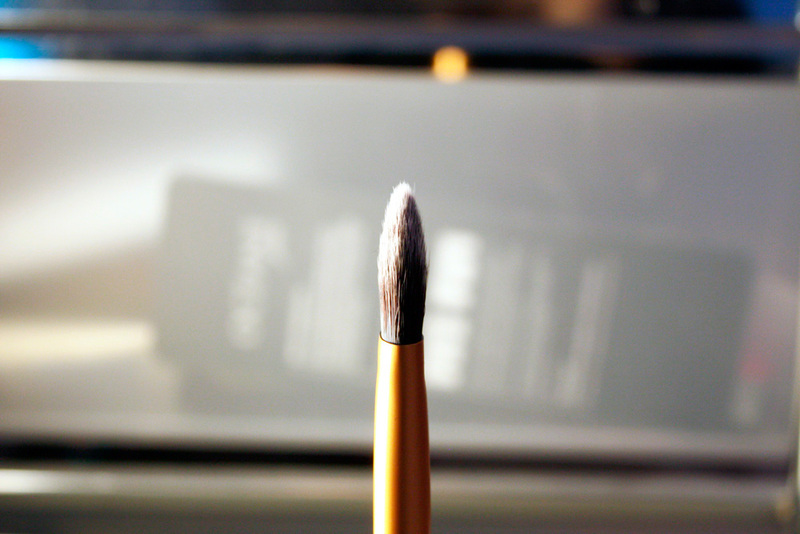 This precision cut brush is great for use with concealer! It allows you to gently conceal dark circles under the eyes without harshly rubbing the delicate eye area, it’s better to gently tab the concealer and build up coverage. You could also use this as a lip brush to make your lipstick last longer. 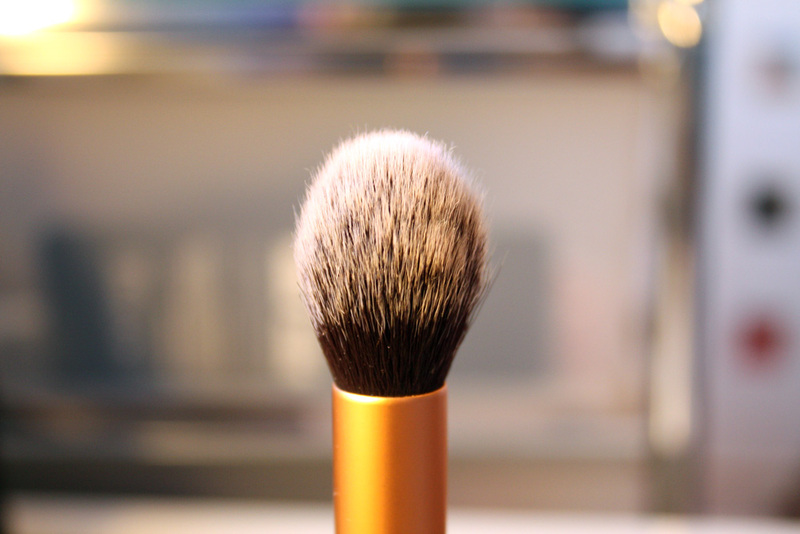 This brush is designed for use with liquid foundation, it’s ideal to build coverage up and gives you a lot of control. 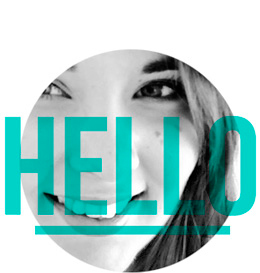 The pointed tip is great for reaching areas like around the nostrils, helping you to achieve a flawless look. I also sometimes use it for my concealer. My favourite out of the bunch! It’s ideal for full coverage application of powder and mineral foundation but I personally love this for liquid foundation. I buff it in using circular motions working outwards and it really gives you a flawless natural coverage that lasts a lot longer than it would if you apply it with your fingers. I also find it saves on product as the brush helps to make a little to go a long way! Contouring is very useful when adding dimension to your face, it can enhance your jaw line, slim your cheeks, narrow a nose, slim a forehead, the list is endless! Before I owned this I was doing the trick of squashing a blusher brush with my contour powder, which although it works is not ideal. 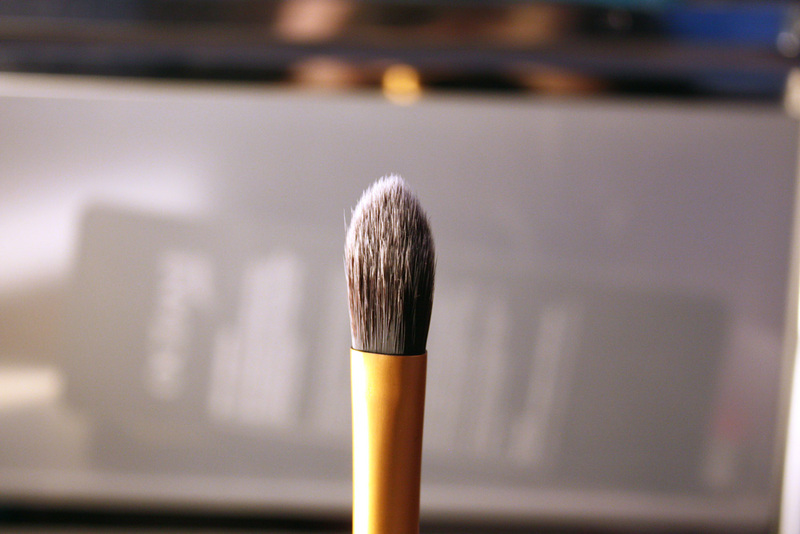 This brush picks up just the right amount of product and allows you to blend effortlessly - so no harsh brown stripes! 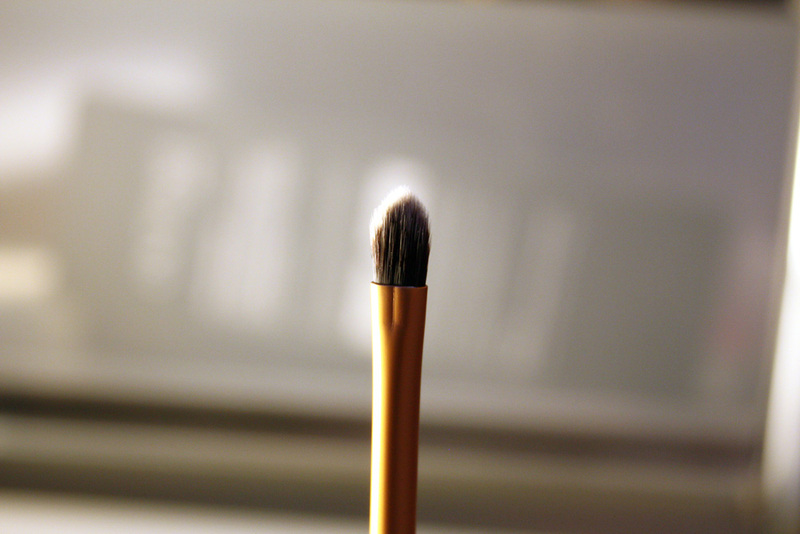 You can also use this for highlighting for a sheer soft focus kind of look. All the brushes are contained within a black case, although the bigger brushes will stand up on their own. 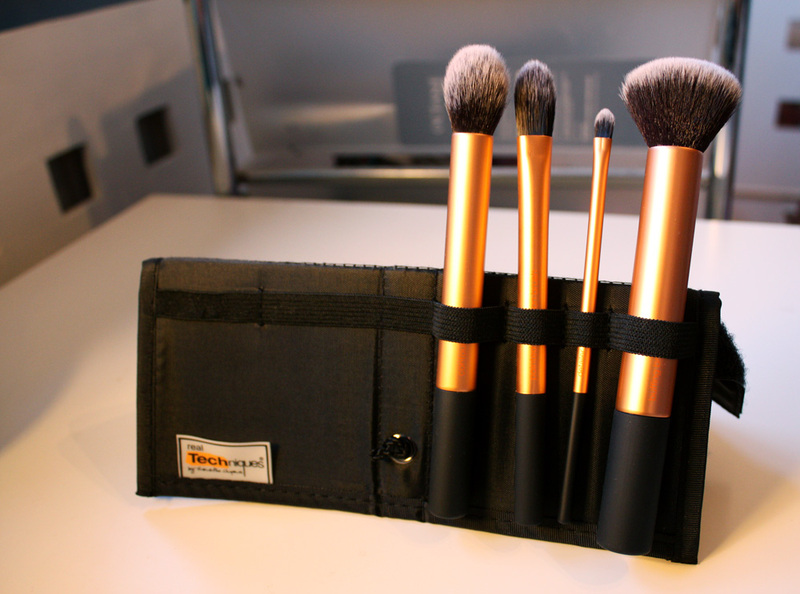 The case Velcros shut making it ideal for travelling with as the brushes are well protected. The case can also act as a stand, you pull the cord and move the little bobble device down and voilà, one make up brush stand! Great if you want to be able to see all your brushes on the side. I’d definitely recommend getting these! You won’t regret it! You can pick these up in Boots for £21.99. Think I might try out their beauty blender next or the expert face brush. Have you tried any of the Real Technique brushes? 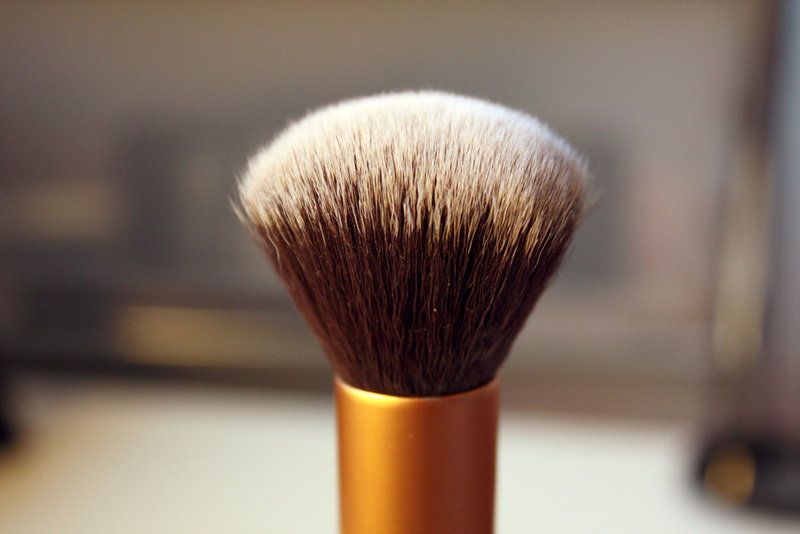 The expert face brush from Real Techniques is my favourite brush ever for foundation! Thank you, I use a canon 450D with the stand kit lens for photo's on here. I have had my eye on this set lately! I'm glad you mentioned you used the buff brush for foundation because I was hoping it would work well for that! Looking forward to trying it myself. I love RT brushes, I have far too many! 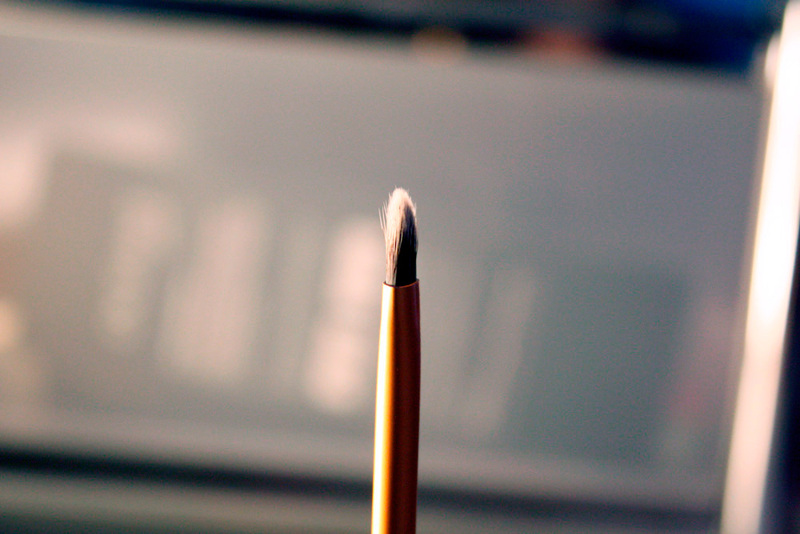 My favourites are the buffing, setting and multi-task brushes. 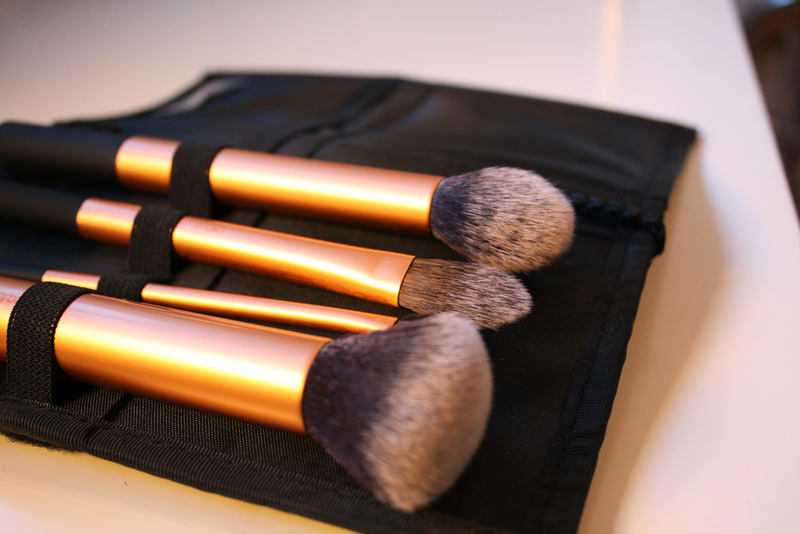 Have you tried any of their new retractable brushes?